Oliotius oligolepis common name checker barb. These are actually a peaceful barbs. They can grow up to 5 cm / 2 inches. 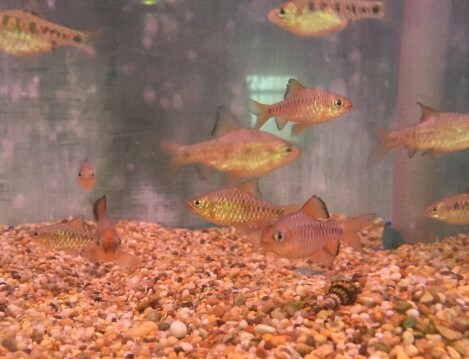 They live in water parameters of PH range 6.5-7.5, temperatures of 24-26 Celsius / 75-79 °F. 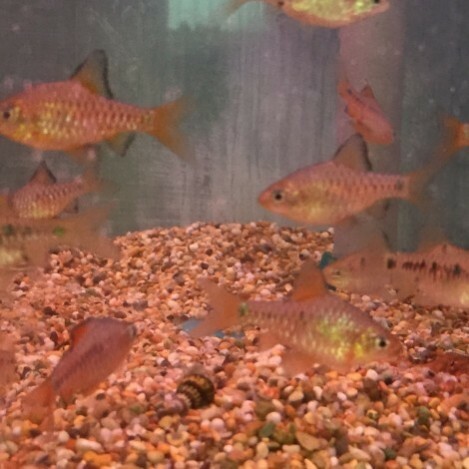 The checker barb although a type of barb is a peaceful community tank fish, and can mix well with small community fish. They are best mixed in small groups as can be shy and hide a lot on there own. 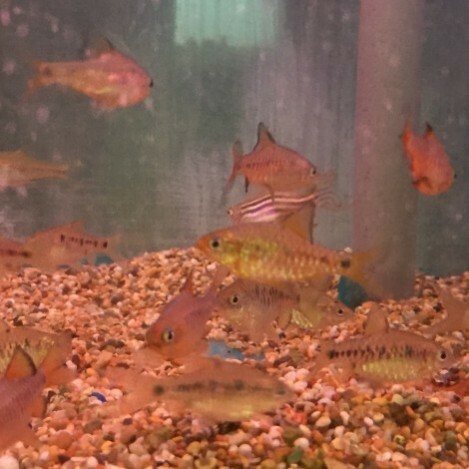 The males in the checker barbs are more colourful than the females. They have a diet of small pellets or granular foods, and flake. Also freeze dried, frozen or live foods make a nice treat for them. Checker barbs will eat anything from flake, pellet, granular, to live and frozen foods. As they are only small they don’t need anything to big.